Automate your Home for Better Living. WebNMS smart automation solution for homes and businesses offers wide array of applications from home automation (home security, energy management, comfort, and automated entertainment), home cloud (management of sensor data), and e-Health solutions. No matter where you are, control every aspect of your home. WebNMS plays a pioneering role in ushering latest technology in future homes through wireless technology such as Wifi, Zigbee, and GSM for effective monitoring. 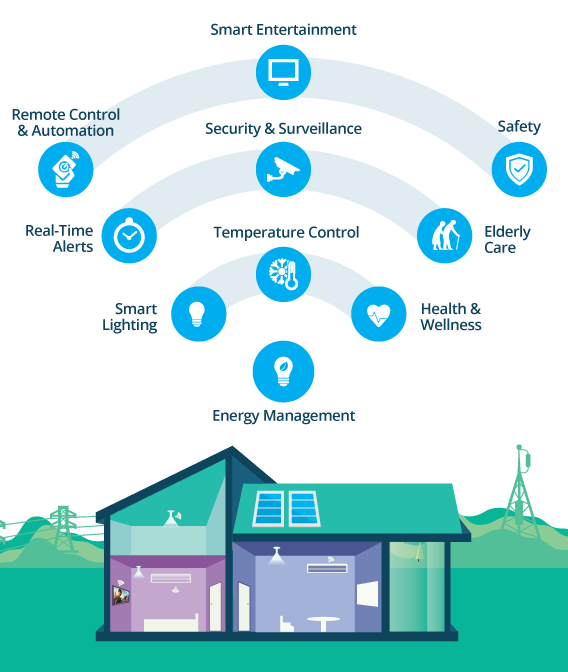 Inject intelligence into your gadgets from smart wireless locks, refrigerators, to internet connected light bulbs, WebNMS enables you to connect broad range of devices effortlessly! Protecting your home and family need not be complicated or expensive. WebNMS Smart Home empowers your home or business with automation system – within your budget.